The long-awaited charging infrastructure project from NRG's eVgo in California is slowly going forward with first Freedom Station opening in Bay Area. The first Freedom Station goes to Westlake Shopping Center in Daly City, California owned by Kimco Realty. And, according to the press release, this is first of 7 Kimco centers in California that will soon get Freedom Stations. The eVgo Freedom Station is situated on the first floor of Westlake Shopping Center’s parking garage adjacent to Home Depot. eVgo charging points typically consist of one DC fast charger with a CHAdeMO plug and one AC L2 with a J1772 plug. In this case, the charging equipment suppliers are different from the Freedom Stations installed in Texas. Now, instead of AeroVironment, eVgo is using a ChargePoint L2 terminal and a Nissan fast charger. Not strange at all if we consider earlier cooperative agreements. 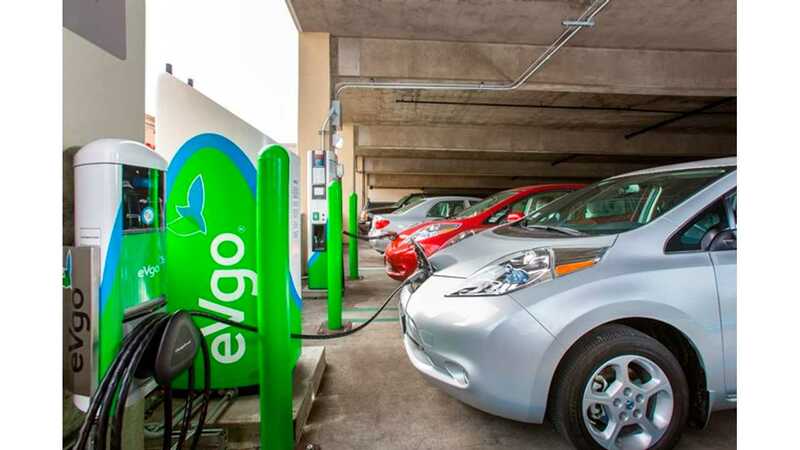 "The eVgo Freedom Station at Westlake offers electric vehicle (EV) owners both rapid and traditional EV charging, and is one of seven eVgo Freedom Station sites planned at Kimco retail centers in California this year. eVgo Freedom Station sites include 480-volt “DC Fast Chargers” and standard 240-volt “Level 2” chargers compatible with any electric vehicle with a plug." "The Westlake site offers the Bay Area’s first eVgo DC Fast Charger, which can provide up to an 80 percent charge in about 30 minutes, and has been designed to easily incorporate a second DC Fast Charger. The station also offers a Level 2 charger, which can provide up to 24 miles of range per hour of charge." "We’re thrilled to have our first NRG eVgo Freedom Station up and running at Westlake. 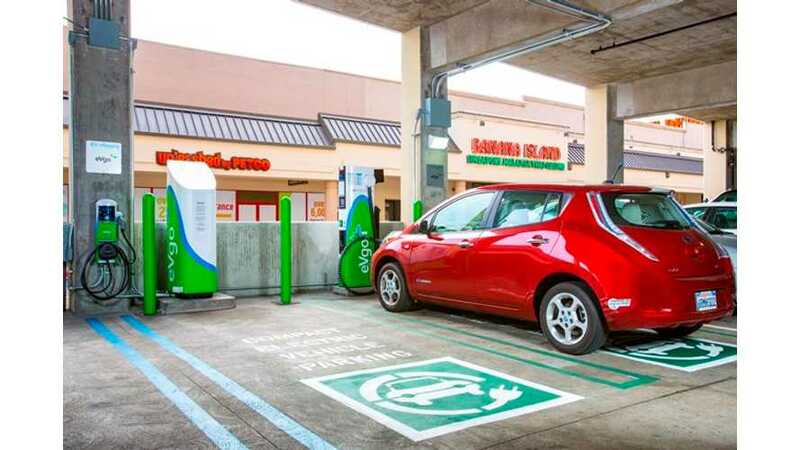 Californians drive more than one-third of the electric vehicles in the country, so building a network of quick-charge stations at Kimco centers, which are easily accessible by commuters, is a valued amenity to our customers and retailers."